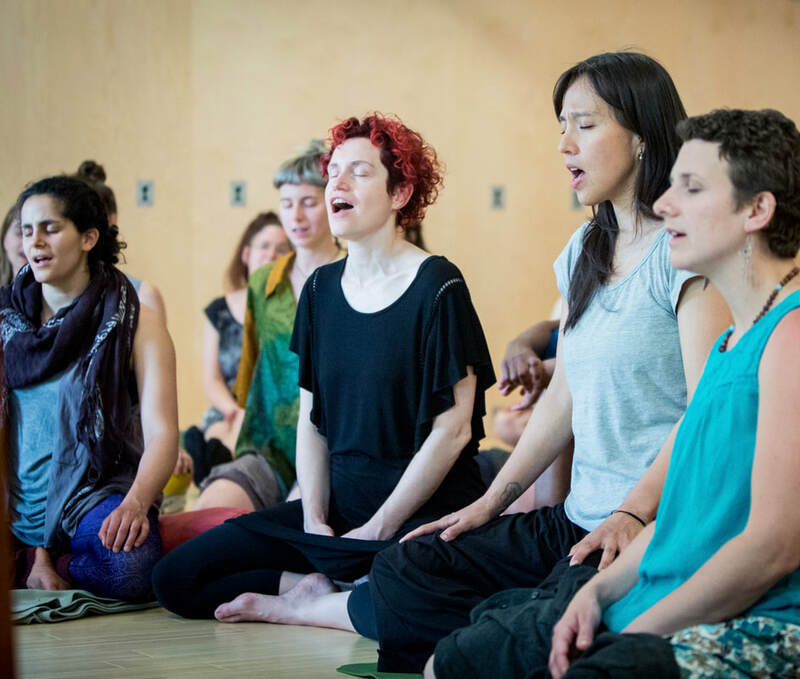 Learn how the yogic sound practices of ancient India hold big benefits to our contemporary lives in this fun and informative weekend with chant mistress Ann Dyer. Sometimes chanting seems mysterious, foreign to us 21st century folks. But people have sung since the beginning of humankind — most everyday, most everywhere, mostly together. The ancient yogis recognized this innate power of the voice and harnessed it to fuel transformative practices that open the heart, clear the mind, bring peace — and ultimately, liberation. This will be a rich and satisfying weekend of liberating your voice, diving into silence, and connecting with one another through the power of music and listening. ​No experience necessary. Everyone welcome. ANN DYER has explored sound and music for over thirty years as a concert/recording artist, student of Indian music, and teacher of Sound Yoga. Ann 's belief that we are all born to sing, is captured in her TedXTalk "Why Sing?, Why Now?," and in her work as the director of the Vak Choir of "Everyday Voices." The power of Sound Yoga to bring balance to our increasingly visual lives.